Alex Wagner is a contributor to CBS News and The Atlantic Magazine. 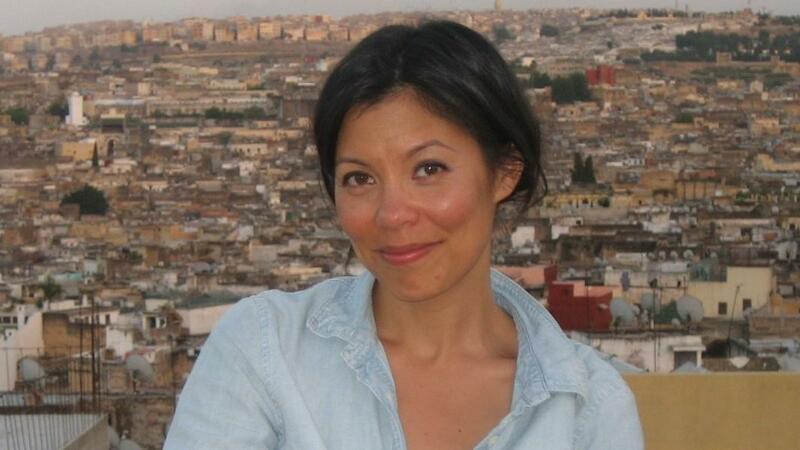 Journalist Alex Wagner was 12 years old when a line cook in a diner asked her if she was adopted. Wagner was taken aback — her father's family came generations ago from Luxembourg, and her mother came to the U.S. from what was then Burma. "It was the first time in my life that I realized [that] ... I conceived of myself as generically American, but not everybody else did," Wagner says. "To some Americans, there was no possible way I could naturally be the daughter of this white American; I had to be from someplace else." Looking back, Wagner says this incident was pivotal to her understanding of herself as a mixed-race person. Decades later, she would attempt to learn more about her roots by traveling to Luxembourg and Myanmar — formerly Burma — and by signing up for DNA ancestry tests. She writes about her efforts in the new book, Futureface. Ultimately, Wagner says, her book is about a quest for belonging: "I wanted a story to call my own. I wanted to know who my people were. And I, I think like a lot of Americans, I thought I could find those people in the past." It gave me a sense of urgency as far as researching and writing this. Because I wanted to tell my son a story that was true. And, in part, I had grown up with just myths, and so little detail. And I thought, as a mother, one the things I can give him is an honest account of where he came from. I think nowhere is that more true than, for example, my father's side, which had completely elided the history of the native people in America. And the fact that the land that we farmed, and ate off of, and grew big and strong on — that had belonged to someone else. It occurred to me when I had my son that I could begin the Wagner family story at a totally different point in time. I could begin it 100 years earlier. And I could be inclusive in the story that I told him and honest in a way that my father hadn't been with me. ... That just felt like a really important gift to give my son. On trying to connect with her ancestors via the "soil"
In all honestly, a lot of Americans do that. There's a lot of "ancestor tourism": and people will go back to Ireland to touch ground and have a pint in the same place where their forefathers once did whatever their forefathers did, and there's a real strong idea that we connect to the place once we get there. But for me, with the exception of very few singular moments, I didn't connect back to Burma. I felt decidedly American in Burma, and all the Burmese people would look at me and say, "You must be Thai, right?" I thought, "This is just not how this is supposed to go." But then I realized, I think maybe we're too preoccupied with the past and too preoccupied with the idea that nationalism and sense of identity belongs to the soil, to the land, and isn't somehow within ourselves and among each other. The biggest reveal was that a lot of these DNA test companies, they're commercial enterprises, right? So they basically purchase or acquire DNA samples based on market demand. If there are a lot of Irish-Americans buying ancestry kits, they're going to have a pretty well-developed sample set of Irish DNA that they can use to compare results with. There are not a lot of Burmese people taking DNA tests. ... And so the results that were returned were kind of nebulous. And then there are political considerations like, it's hard to get DNA out of certain countries. And so these tests will sort of correct that by looking at — well, what's the nearest country? like Mongolia, that might have some of the same DNA characteristics. So, as a result, on one hand I was being told that I was 14 percent Scandinavian and some amount Mongolian. ... But actually, if you dig deeper, in some of the cases, that's just because of the realities of the data that these companies have on hand. Sam Briger and Mooj Zadie produced and edited the audio of this interview. Bridget Bentz, Molly Seavy-Nesper and Beth Novey adapted it for the Web. This is FRESH AIR. I'm Terry Gross. My guest Alex Wagner's professional identity is journalist. She's a contributor to CBS News and The Atlantic magazine, a reporter on the Showtime political documentary series "The Circus" and a former MSNBC anchor. Her personal identity - well, that was always a bit confusing for her because she has an improbable family tree. Her mother and grandmother fled a military dictatorship in Burma, immigrating to the U.S. in 1965. Her father is American. His family's roots are in Ireland and Luxembourg. Her mother is Buddhist - her father, Catholic. Wagner wanted a sense of belonging to a group that she didn't have. And she says that made her identity hungry and identity fatigued. In her new book "Futureface," she writes about trying to understand her identity by researching her ancestry - traveling to Burma and Luxembourg, searching through archives and doing DNA ancestry tests of herself, her parents and her grandmother. One of the questions she ended up investigating is how accurate are these DNA ancestry tests. Alex Wagner, welcome to FRESH AIR. It is a pleasure to have you here. ALEX WAGNER: Oh, it is a pleasure and an honor. Thank you so much, Terry. GROSS: So you write in your book that you were taught that your ancestors shouldn't affect your destiny. What were the ways in which you were given that message by your parents or your grandmother? WAGNER: Well, I think, as Americans, we're taught this idea - go West, young man. Don't worry about everything you're leaving behind. That's sort of part of the American ethic - is not to worry too much about the past and that it shouldn't define us. And most certainly, that was the case with my mother, who was an immigrant to America. She would talk about Burma in the most nebulous sort of rose-tinted way, which is to say it was more like "Brigadoon" than an actual country, you know. WAGNER: There was - I was only told stories about frangipani blossoms and monsoon rains and teatime and English school uniforms and getting mandarin oranges at Christmas time. I mean, they were these beautiful, poetic reminiscences. But they weren't real, and they didn't seem to tie my mother or our family on the Burmese side to the past in any real way. It was as if we had shrugged it off and just adopted sort of the lightest of recollections about what we left behind. My father's family didn't really know much about our ancestry. I mean, they had the story that I think a lot of white Americans have, which is, well, we came from Europe. And we arrived here. And by dint of hard work and divine providence, we became Americans. And that's just how it went - with no detail offered as to how precisely that all took place. GROSS: So what was the turning point for you in making you interested in your ancestors and wanting to do all the research that you did for this book? WAGNER: I had - in my early 20s and late teens, I had adopted this idea that I was the future face. And that was in large part due to this Time Magazine cover from 1993 that proclaimed the future face of America. And it was this racial composite image. And I sort of thought I looked like that. And I felt a sense of kinship with it - in so far as, I was also an inscrutable, mixed-race person. And maybe that meant I was an avatar from the future. But there was a lack of rootedness to all that, right? I mean, I was like some toucan that had flown in from some part of the world or part of time that had not yet occurred. And I realized in my late 20s and early 30s that I wanted to belong somewhere. I wanted a story to call my own. I wanted to know who my people were. And I - I think like a lot of Americans - thought that I could find those people in the past. I could find this mythic tribe of elders who would ground me in a story that was irrefutable, undeniable, that was unique and my own, and it would satisfy all my cravings. GROSS: And, you know, you write about how you wanted to kind of, like, be on a team. And at Brown University, you couldn't decide whether to join the South Asian Student Association or if joining would actually reinforce the marginalization that it aimed to combat. Would you describe that dilemma for us? WAGNER: Yeah, such Brunonian hand-wringing, right? I love my alma mater. But we - you know, I had an Afrocentric, D.C., public school education. And we read Chinua Achebe. And we re-read it - like "Things Fall Apart" like three times. And I was very aware of and invested in minority voices and the minority narrative. I think probably I was a little bit ahead of the curve on that and my early education was. When I got to Brown, I was aware of the idea that people needed to place themselves in communities and that there was strength in that and that the South Asian Students Association was one way of being strong in numbers and declaring proudly, these are our voices. But at the same time, I worried that joining a specifically sort of cultural, racial group would marginalize us. And wouldn't our voices better be used fully integrated into the student body at large? I mean, it was a classic kind of, you know, liberal arts conundrum, right? Where do you have the most power? Do you have the most power with people who are like you? Or do you have the most power speaking loudly among people who are different than you? GROSS: So did you join the group? WAGNER: (Laughter) I joined, but I never went to any of the meetings. GROSS: What a perfect compromise. That's perfect. WAGNER: Or maybe the worst of both worlds - but that's what I did. GROSS: So for a while, when you were thinking about like, who am I? - who are my ancestors? - what does that mean? - for a while, you thought you might have Jewish ancestors. What were the clues? WAGNER: To be clear, my father's family pointed to the Catholic Church as its North Star. Catholic parochial school was how they were educated. They went to church every Sunday. They ate fish on Friday. They had doughnuts on Sunday. That was my father's identity. That was his tribe. And yet, as I started asking questions - getting more details about the Wagners of Lansing, Iowa - I started hearing these strange asides. Like, my father, at one point sitting in the living room, said offhandedly, well, your Aunt Susan (ph) thinks we're Jewish. And then another cousin said, oh, well, yeah, didn't you know great-grandfather Henry knew Yiddish? And then my aunt had a recollection of one of my grand-uncles saying, well, I'm just an old Jew. And these stories were spurs if you will. I mean, they were snags in the family narrative because they made no sense. I mean, we were Catholic. How could we also be Jewish? And apparently everybody but me knew this. So I took it upon myself to find out whether the Jewish theory was true. GROSS: You were very intrigued by the Jewish theory. You kind of wanted to have some Jewish ancestry. Why? WAGNER: ...I think that especially for someone who's looking for identity, Judaism is one of the - our civilization's oldest tribes. And all of my Jewish friends had such strong connections to their Jewish roots. There was such a sense of cultural belonging. I was so envious of that, you know. And I thought, if I find out that we Wagners are in fact Jewish, it will not only upend the family narrative, which was something that was equally interesting to me, but it'll give me a place to belong. I'm going to start celebrating Passover. I'll go to High Holy Days. You know, it was like this built-in cultural community that I could immediately be a part of. GROSS: You know, I'm just wondering. Is there a growing group of mixed-race people who feel a connection and a tribe with each other because they don't feel like they belong - or other people don't feel that they belong, you know, in the white tribe or the African-American tribe or the Asian tribe? WAGNER: Yeah, I can't tell you how many mixed-race people have come up to me after - as this book has come out and been in the world and said, I totally identify with this story. And they - a lot of them hearken back to this moment in the book, which is sort of pivotal, when I was at a diner with my dad. I was 12 years old. And the line cook was looking at me and looking at my father. And my father went to the restroom. And the line cook looked at me, after my father had left. And he said, are you adopted? And it was the first time in my life that I realized the way I conceived of myself as this generically American kid, who liked television and chocolate chip cookies and "Murder, She Wrote" - that I conceived of myself as generically American, but not everybody else did. And to some Americans, there was no possible way I could naturally be the daughter of this white American. I had to be from someplace else. And I felt so alienated. And I felt so ashamed. And I was so embarrassed by the question that I sort of, like, tripped over myself trying to explain that I had an Asian mother. And a lot of mixed-race people have written to me or just told me in passing or at events - they've said, you know, I know exactly what that feeling is like - when someone sort of looks at you and deems you, through conversation or otherwise, an outsider and lets you know, however subtly, that you don't belong in the narrative of America. GROSS: Well, why don't we take a break here? So if you're just joining us, my guest is Alex Wagner. And she used to host the MSNBC show "Now With Alex Wagner." She's now a contributor to CBS News and The Atlantic. And her new book about tracing her ancestry, or at least trying to, is called "Futureface." We'll be right back. This is FRESH AIR. GROSS: This is FRESH AIR. And if you're just joining us, my guest is Alex Wagner. She's a contributor to CBS News and The Atlantic. She's one of the hosts of the political documentary series "The Circus" on Showtime, which is now immersed in the Trump era. And she's the author of the new book "Futureface," which is about why and how she decided to try to trace her ancestry. So when you decided to do a search for your family ancestry, what did your parents think of that idea? WAGNER: (Laughter) You know, I will say, I don't think I was completely honest with them. I don't think they understood the depths to which I wanted to plumb history and the fact-checking that I would do, you know, hearing their stories and comparing what they were saying about what happened to what actually happened according to history books. My mother was gamey. I mean, I think she was kind of interested. My father was excited about it. But the longer the search went on and the less he was learning, the more skeptical he became. And to be honest, the more I started asking about our Jewish roots, the more he became uncomfortable, not just because it was - you know, in searching for Judaism, it had the potential to upend his whole idea about who he was, but also because it would have made him an outsider to the narrative he had been spinning forever about small-town Iowa, with its five churches and its lone Jewish family. It would have placed him in a different part of that story, and I don't think he was ready for that. He didn't want it. He actively, I think, pushed against it emotionally. GROSS: Were you sympathetic to him about that? WAGNER: To a degree. But I think - and this happened a lot in parts of the Wagner story - you know, the white immigrant origin story, which is what the Wagner story was, is inherently - there are a lot of missing pieces to the white immigrant origin story. And that's what my father had been telling himself all along, and he had never been really curious about how all of these things came to be. As an example, you know, he told me at one point, oh, there were no people of color in our town. There was just the lone black dry cleaner. And I accepted that to a point. And then I started asking myself, well, why is that? And after research, I realized, well, that's because the people of color who originally owned the land were kicked off of it and decimated in number and effectively killed off. The Winnebago tribe, they were the ones in Allamakee County before the Wagners of Lansing, Iowa. But nobody in my family - my father, certainly - hadn't bothered to know what had been there before we got there. He had just sort of tacitly accepted that this is where the Wagner story began, and it began with our arrival. And that, to me, is irresponsible, especially today as we realize (laughter) that the history of America doesn't, of course, begin with the arrival of white folks. WAGNER: I'm sticking with Burma. WAGNER: I - (laughter) it's a form of - I think it's emotional resistance as much as anything else. But we called it Burma defiantly when the ruling military junta renamed the country in the '90s as a bid to deflect global attention from the gross violations of human rights that were occurring in Burma. So for a while, even up until the end of the Obama administration, it was still referred to as Burma sort of as a way of defying what the military junta wanted to do and what it wanted to call the country. Also, I don't think I've ever heard of anyone from Burma being referred to as Myanma-ese (ph). (Laughter) Burmese is just how we refer to ourselves. GROSS: (Laughter) Right. OK. So your mother and grandmother fled Burma in the '60s because of a military dictatorship. GROSS: Had they been back before you decided to go there? WAGNER: My mother - my grandmother went back once in the 1980s to visit family and didn't tell me much about that trip. My mother didn't go back until the - months after the Saffron Revolution, when all the Buddhist monks were in the street protesting the military government and the continued incarceration of Aung San Suu Kyi. And I saw those images beamed across the world, and I was sitting in New York. And I thought, my God, it's time. We have to go back over there. We have to see what's happening. And my mother was incredibly resistant to going. But she also knew that it was important. And it was a really hard, really sad trip. I mean, everything that she remembered about Burma had sunken as if it was a ship at the bottom of the sea. You know, it was like you could still see the outlines of the life that she once knew, but they were - but it was covered in barnacles and mold. And it was really hard for her to process all of it. GROSS: What were you hoping to accomplish in going to Burma in your search for your own ancestry? WAGNER: So I think we think of ancestry in a couple of different ways, or we look at it as an inheritance of blood and to some degree soil. So this was my attempt to reconnect with my ancestry by putting foot to ground. And I was hoping that I'd arrive in Rangoon, and I would feel this tremor of connection - (laughter) right? - that I would go to the Burmese archives, and I could find documents relating to my family history. And it would be proof, hard proof, that we had been here and that somehow some door would open up (laughter) in my mind or in my heart, and I could through that door find my ancestry and find that tribe. Which is a - you know, in all honesty, a lot of Americans do that. There is a lot of ancestor tourism, you know. And people will go back to Ireland to touch ground and have a pint in, you know, the same place where their forefathers once did whatever their (laughter) forefathers did. And there's a real strong idea that we connect to the place once we get there. But for me, with the exception of a very few singular moments, I didn't connect back to Burma. I felt decidedly American in Burma. And all the Burmese people would look at me and say, you must be Thai, right? (Laughter) And I thought, this is just not how it's supposed to go. But then I realized I think maybe we're too preoccupied with the past and too preoccupied with the idea that nationalism and sense of identity belongs to the soil, to the land, and isn't somehow within ourselves and among each other. GROSS: What about the documents? Were you able to find documents that helped you understand your family tree or help you trace it? WAGNER: It was a comedy of errors rifling through the Burmese archives. You know, it's actually quite sad. Much of the documents that really mattered have been thrown out of Burma's libraries. There's one man that I ran into who's, I would say, somewhere between a hoarder and an archivist. But he's basically purchased, you know, archival documents relating to British colonialism and Burma's entry as an independent country into the world stage. They've been thrown out, in large part, because the military junta purged Burma's centers of learning of much historical record. And so he has kind of a home collection of interesting work. But the archives themselves are fairly stripped. There's not a lot there. And I was informed, before I went in there, that if I wanted to look at records between 1962 - and I think it was 1968 - I would need special permission. And, of course, those are the most tumultuous years in Burmese history. And those are the - precisely the years my family left the country under cover of night. So it's an understatement to say it was difficult to find much in the archives. GROSS: So what kind of pilgrimage did you make on your father's side? WAGNER: I - on my father's side, in a quest to hunt down the truth about the Wagners of Lansing, Iowa, I went back to Luxembourg City and to Esch-sur-Alzette, which is where my great grandfather Henry Wagner (ph) was from. And I spent hours and hours (laughter) in the Luxembourg archives, which are much better kept than the Burmese archives, you know, donning these linen gloves and requesting census data from the 1700s. These dusty books that are so delicate that you can't even get them transferred to microfilm. Looking for any record of where we lived, who we were, whether we were perhaps Jewish. I mean, I exhausted myself over those days. And it became evident to me that I had no idea what I was doing. You know, the genealogy - it's so much detective work. And it's hard work. And I didn't speak German. And I didn't know how to decipher the Gothic script. And one day, I just remember feeling so bereft and so lost that I literally started crying. I thought, what am I doing here? Why am I wasting all this time? And that's, in part, why I ultimately went to science to try and get a DNA test to tell me definitively who I was because the rest of it was so complicated and, in some ways, not fruitful. GROSS: My guest is Alex Wagner, a contributor to CBS News and The Atlantic, a reporter on the Showtime series "The Circus" and a former MSNBC anchor. Her new book is called "Futureface." After a break, we'll talk about the DNA ancestry test she and her parents did and why they left her a little confused and skeptical. And Maureen Corrigan will review a new book about the underground world of exotic feathers. I'm Terry Gross. And this is FRESH AIR. GROSS: This is FRESH AIR. I'm Terry Gross, back with Alex Wagner. She's a contributor to CBS News and The Atlantic magazine, a reporter on the Showtime political documentary series "The Circus" and a former MSNBC anchor. Her new book, "Futureface," is about her search for her ancestry after feeling like she didn't fit in any identity group. Her mother is from Burma. Her father is American. His family tree's roots are in Ireland and Luxembourg. So after doing your best to track your family ancestry through records and archives, you decided to go the DNA route. GROSS: What is DNA testing supposed to be able to reveal about your family tree? WAGNER: DNA testing - it's supposed to give you a picture of who your ancestors were, where they existed in the world. And sometimes, depending on which test you take, they'll tell you at what period you may have inherited that DNA. So is this Chinese DNA from the 1600s? Is this Scandinavian DNA from the 1800s? Some of the tests are sophisticated enough, they say, that they can give you a kind of a time stamp on when you inherited what. GROSS: And it tells you like the proportion of which nationality - well, not nationality. I mean, ethnicity I suppose is the right word because they don't know where you were, yeah. WAGNER: It will - the Ancestry DNA test will give you a sort of fractional racial breakdown. And they'll say, oh, you're 45 percent Southeast Asian, 22 percent Scandinavian and X percent Polynesian. And it's a very tidy little pie chart that ultimately, in theory, adds up to 100 percent. But it's all kind of percentage breakdowns - down to, in some cases, .5 percent or 1 percent. And that's kind of where the science gets a little bit hazy, as I learned. GROSS: So you got your DNA tested from all three of the best-known services. Why did you want to duplicate like that? WAGNER: ...Just because the more you know, the more you know. And even at the outset of this, I had this sense that, well, I would like to compare what the tests say to one another. You know, what the different - I'd like to compare what the different results are. I had a sense even at the beginning that maybe the results wouldn't be consistent or that certain tests would find things that other tests didn't. And I also just didn't want to be allegiant to one test in particular because I didn't know really what separated them. GROSS: So you got yourself tested - your mother, your grandmother and your father. GROSS: Let's break this down one by one. Was your genealogy consistent with your parents and grandmothers? Did it look like you were all from the same family? WAGNER: Only in the most broad sense, right? One DNA test told me I was 14 percent Scandinavian and that my father was somehow 12 or 13 percent Scandinavian, which, of course, if you do the math, is impossible unless my mother was part Scandinavian. But the same test didn't say that she was any part Scandinavian. I mean, in the broadest division, yes, the test told me I was basically half Asian and basically half white European - ish. But then when you got into the sort of origins of those ancestors, that's where they were all over the place. And the same - my father overwhelmingly was white European. But then when you got into what regions and what countries, the test gave different results - the same for my mother. And that's when the sort of alarm bells started going off. I thought, how can I be 14 percent Scandinavian on one test and zero percent Scandinavian on another? Why is my mom getting so much Mongolian DNA but nothing that looks like Burmese DNA? How is this - this doesn't make sense. And that's when I began to realize I had no idea what actually goes into a DNA test. I had no idea what data they were using and what kind of references they were using to determine all of this. GROSS: So you did some research and talked to some experts on DNA and genetics. And you found out the answer for why your mother's DNA wasn't showing Burmese ancestry. It said Southeast Asian but not Burmese. So what's the answer to that question? WAGNER: Well, the first - the biggest sort of reveal was that a lot of these DNA test companies - I mean, they're commercial enterprises, right? So they basically purchase or acquire DNA samples based on market demand. If there are a lot of Irish Americans buying Ancestry kits, they're going to have a pretty well-developed sample set of Irish DNA that they can use to compare results with. There are not a lot of Burmese people taking DNA tests, in part, because there are a hundred dollars apiece, in part, because Burma has languished basically in an internet blackout for the last 30 years. Burma is just now catching up in terms of information and architecture. But needless to say, there's no particular market drive to have very, very, very well-developed Southeast Asian and Burmese DNA. And so the results that were returned were kind of nebulous. And then there are political considerations - like it's hard to get DNA out of certain countries. And so these tests will sort of correct that by looking at, well, what's the near nearest country - like Mongolia - that might have some of the same DNA characteristics. I mean, so as a result - you know, on one hand, I was being told I was 14 percent Scandinavian and some amount Mongolian. And I was inventing these narratives about my ancestry that I think everybody does when they get these results. Like, oh, I'm a Viking. I had no idea I was Scottish - turns out I'm, you know, Polynesian. But actually, if you dig deeper, in some of the cases that's just because of the realities of the data that these companies have on hand. GROSS: So earlier we're talking about how you thought that maybe there was Jewish ancestry on your father's side. Did you find any in the DNA tests? WAGNER: What we found instead - let me answer that question. We did not find any Jewish DNA in the ancestry tests. And I will tell you, Terry. I tried really hard. WAGNER: I made my father take specialized DNA tests that just would isolate any potential Jewish genes, and we couldn't find any. I hired ultimately a professional genealogist specializing in Luxembourger communities to dig deeper. But what we found was that my great-grandfather was not at all the person we presumed him to be. You know, we'd been told he was this upstanding pillar of the community, a Catholic Patriarch with 13 children. And as it turns out, he was probably kind of more of a shadowy figure that did some dealings in the underworld - if you will - around the Franco-Prussian-War. And perhaps he learned Yiddish or adopted Jewish culture dealing with Jewish merchants at the time. It's not entirely clear. But the revelation - if there was one to be had on my dad's side - is that as a character and as kind of the hero in this white immigrant origin story, my great-grandfather was someone completely different. And that was important actually because so much of the white immigrant origin story is based on heroes that actually never really existed. GROSS: ...You know, the prevaricator in your past. That makes for colorful stuff. WAGNER: Colorful stuff is good. You know, I am all for people learning the truth about their roots. I'm all for people trying to recapture the ugly parts and the complicated parts because I fundamentally think that makes us better people in the present, right? It's the dusting over and the sanding of the edges and the exfoliating of the complications and the questionable decisions that I think I take issue with. Perhaps the more of us who knew that we had criminals in our own family backgrounds, the more of us that knew that we had illegal immigrants in our own family backgrounds, maybe the more empathetic we would be to immigrants and criminals and people in jail today. GROSS: So I've been told that some people search for Neanderthal blood in their genetic testing. Is that thing? WAGNER: (Laughter) Yes. In fact, I did not want to know what percentage Neanderthal I was. But I have, as it turns out, an above average percentage (laughter) of Neanderthal in my blood. That is - you know, that's one of the new things about the DNA, that DNA science is ever evolving - pardon the pun. But we now know that Neanderthals existed at the same time as Homo Homo sapiens (ph), and they intermarried. And so when we initially thought the Neanderthals died out, what we now know is it's entirely possible to have Neanderthal blood from mating with a Homo Homo sapien (ph) and, furthermore, that Neanderthals weren't nearly the sort of - what's the right word? - Neanderthals were in fact more sophisticated than they were given credit for. I mean, to call someone a Neanderthal, generally speaking, is an insult. But genetics and science are telling us that the Neanderthals were actually pretty sophisticated. GROSS: If you're just joining us, my guest is Alex Wagner. She's a contributor to CBS News and The Atlantic and now the author of the new book "Futureface." We'll be right back. This is FRESH AIR. GROSS: This is FRESH AIR. And if you're just joining us, my guest is Alex Wagner. She's a contributor to CBS News and The Atlantic and now the author of the new book "Futureface," which is about her search for her own ancestry, being Burmese on her mother's side and of Irish and Luxembourgian descent on her father's side and trying to figure out, like, what could she learn? And what does it all mean? So in your interviews with people who are experts on genetics, were they skeptical about the current state of DNA testing for ancestry? WAGNER: Yes. One of them said, I would not give much more credence to it than a crystal ball, which (laughter) seemed pretty - I mean, that was a fairly eye-opening statement. But some of them took issue with it on a more cultural and anthropological level, which is that these DNA tests tell us that we're all different from one another. And they double - they sort of reaffirm scientifically the notion that we are racially separate and that actually, if you look at us (laughter) evolutionarily, we are almost identical as human beings. Race itself is - there's a lot of argument about whether that's just completely a social construct or whether there's anything genetic or scientific at its core. But these tests gloss over that, and they tell us that we are distinct from one another. GROSS: How long ago did you do your DNA test? WAGNER: I did the DNA test in 2015, which in the - 2015. And I think I might have done one as late - wait, what year are we? 2018? - yeah - I did the test starting in 2015, and I might have done one or two of them as late as 2016. So that's a long time in the lifespan of these DNA companies. They're constantly trying to improve their algorithms, and they're also trying to acquire data sets. I know 23andMe, for example, is making a big push to get more African DNA. They realize to some degree that they have blind spots. My problem is just that when I was taking them, they weren't forthright about those blind spots. And they weren't really forthright about the confidence with which they could determine - or with which they were saying they could determine your ancestry. GROSS: And now some of them have, like, confidence ratings? WAGNER: Exactly. Now 23andMe, for example, has a confidence index that tells you, well, exactly how confident you can be in some of the results. That didn't exist when I first started taking the tests. So they're responsive. And like I said, they're trying to get more data. But it's an imperfect science at best. GROSS: So you've done everything you could to try to track down your ancestry. You've traveled to different countries going through archives. You've had your DNA, your father's, your mother's and grandmother's tested by three different companies. And your conclusion after all of that about your ancestry and the importance of knowing it was...? WAGNER: (Laughter) Spoiler alert. My conclusion was this. I think it's good and important to know who your people were because I think that makes you a more empathetic person in your life. I mean, I think it - just knowing we all come from people who were flawed and made strange decisions and were different than who we thought they were. And I think it's good to reveal those ghosts for who they are. But I think we in this country, and certainly me in my life, we place so much weight on the past and the future. And that's - that is at the expense of the present. And as much as I was looking for this mythical tribe that was going to tell me where I belonged, I was looking to dead men and women elders I had never known to shape who I was in the present day. I realized at the end of this that my community is of course the men and women that I'm with every day and that I think, as a country - I think, as a people, I know personally I need to reinvest and we need to reinvest in this present moment. We are at a crossroads in America where there feels like a huge division between us and them. And I think one of the only ways we get through this moment is by understanding that we are fundamentally linked together in this project and that as much as certain people in our society may want to isolate our bloodlines and build walls and draw borders and, you know, sanitize the past, the future of this species and the inevitable destination is for us to get even closer and to continue to move around the globe together. You know, we're in America for a finite moment in time. Who knows where we'll end up? And I think there's something really beautiful and freeing in that that makes it easier to see our brothers and sisters in the present day. GROSS: So one of the things you learned about was your family's immigration stories. And your paternal great-grandfather came here in - what? - the 1870s, was it? GROSS: You've also covered immigration. And immigration is such a kind of hot-button issue right now. So would you compare for us what immigrating to the United States was like in the 1870s when your paternal great-grandfather came over to what it's like now? WAGNER: It sure wasn't like it is now. (Laughter) That's what I realized. I mean, there was - we talk about illegals, right? (Laughter) My great-grandfather from Luxembourg was an illegal in this country insofar as he had no particular paperwork for the better part - over a decade. I mean, the idea that a white American would be in this country without papers illegally - that's just not something that exists in the current sort of rhetoric around immigration. Not only could you come over here. You could be here for an unspecified amount of time without any real papers. You could get land, if you were white, that was newly freed up because of the genocide and cleansing of the native peoples who once owned it. But you could expand westward. You could put roots down in America without actually being a naturalized citizen. The immigration records from the late 1800s are so spotty. There was no record of my grandfather or my great-grandfather even returning back to Luxembourg, as he did for some unspecified amount of time, and then returning back to America because the borders were much more porous. And yet the country survived (laughter). We allowed people in. We gave them resources with which to survive. My grandfather - great-grandfather then became an American and became part of the inextricable fabric of this country. It was a real shock to see how American attitudes and American policymaking, if you will, around immigration was so diametrically opposed to the attitudes we have today, which are all about exclusion, border patrol, wall-building and demarcating who belongs here and who doesn't. GROSS: You know, while you were doing the research for this book, you were also - you were pregnant. How long ago did you give birth? WAGNER: It's been a wild ride, Terry. GROSS: You must be very tired. WAGNER: Yes. I'm exhausted in ways I did not think possible. GROSS: Was it a girl or a boy? WAGNER: It's a boy. He's a delight. He is a handful. GROSS: OK. All right. So what - how did being pregnant and then giving birth while writing this book affect your view of ancestry? WAGNER: It was really - I felt the weight both because I was pregnant, literally and emotionally, right? I thought - I think it gave me a sense of urgency as far as researching and writing this because I wanted to tell my son a story that was true. And in part, I had grown up with just myths, you know, and so little detail. And I thought, well, as a mother, one of the things that I can give him is an honest account of where he came from. And I think nowhere is that more true than, for example, my father's side, which had completely alighted the history of the native people in America. And the fact that the land that we farmed and ate off of and grew big and strong on - that had belonged to someone else. And it occurred to me when I had my son that I could begin the Wagner family story at a totally different point in time. I could begin it a hundred years earlier. And I could be inclusive in the story that I told him and honest in a way that my father hadn't been with me. And that as a mom - I mean, that just felt like a really important gift to give my son. GROSS: Alex, it's just been great to talk with you. Thank you so much. Good luck with your book. WAGNER: Thank you so much, Terry. Thanks for taking interest. GROSS: Alex Wagner's new book is called "Futureface." After we take a short break, Maureen Corrigan will review a new book about a world you probably didn't know existed. This is FRESH AIR. Transcript provided by NPR, Copyright NPR.